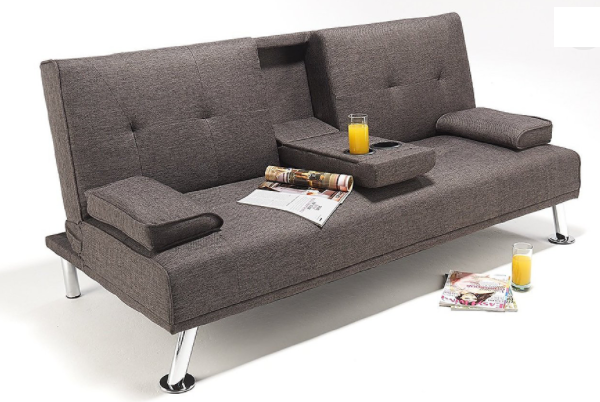 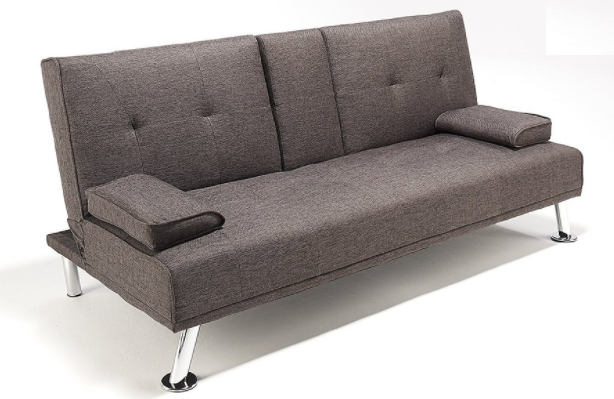 T-1545 Klick Klack is available in the following dimensions as Sofa 72”W x 32”D x 30”H or as Bed 72”W x 42”D x 15”H. 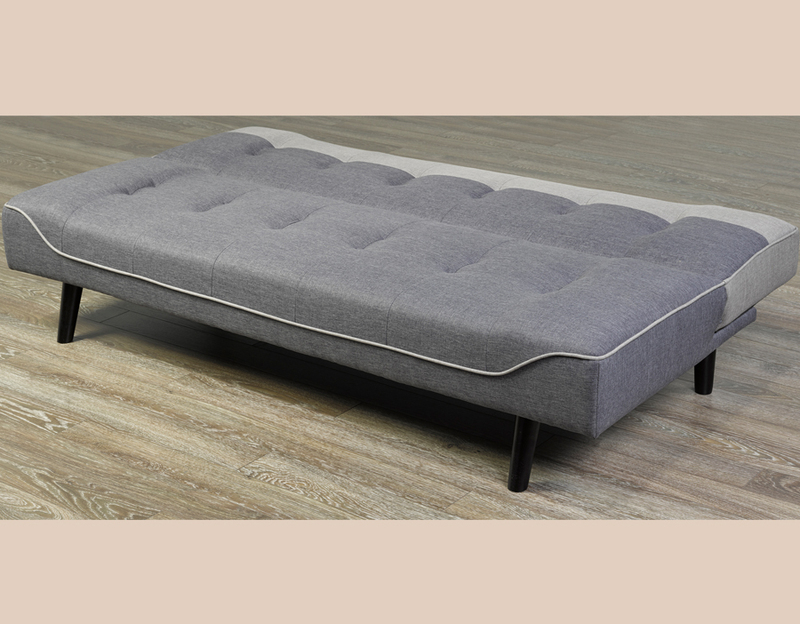 Available in 1 Color of Linen Style Fabric: Grey Linen Fabric. 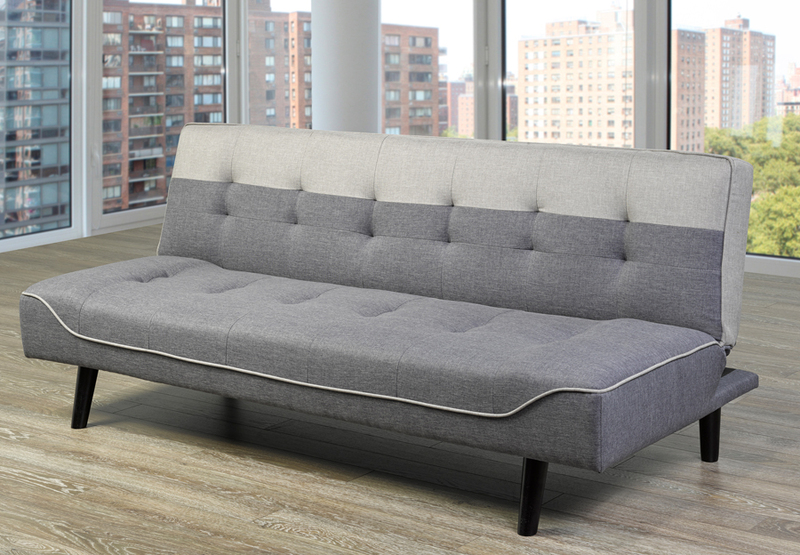 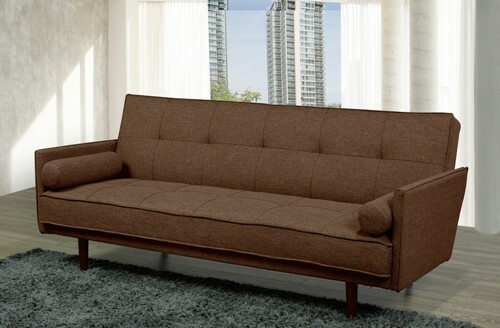 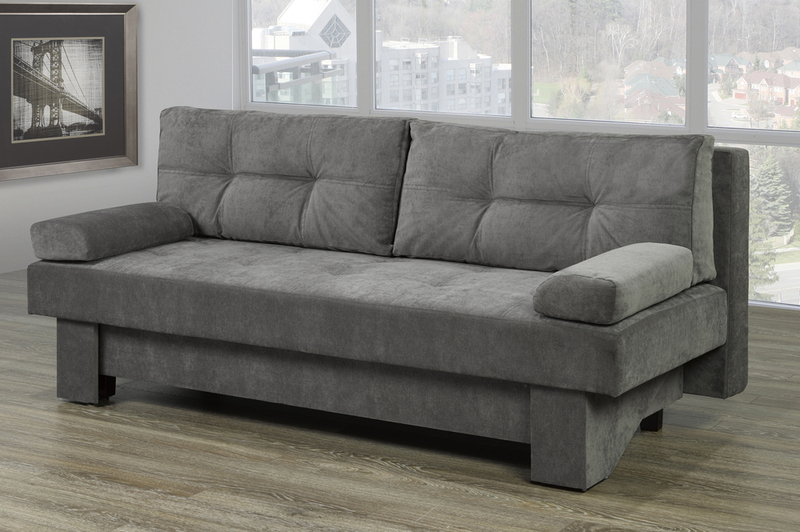 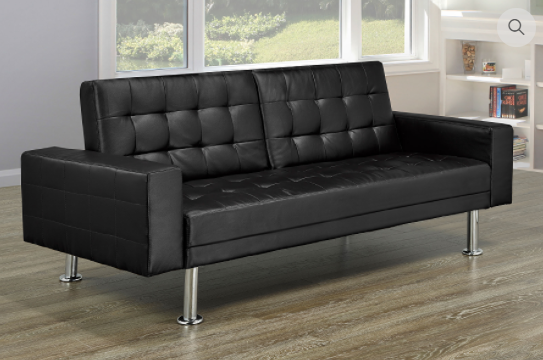 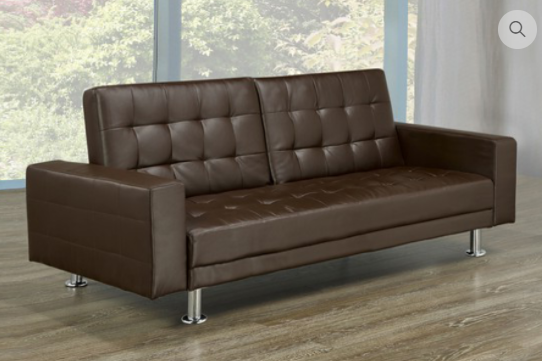 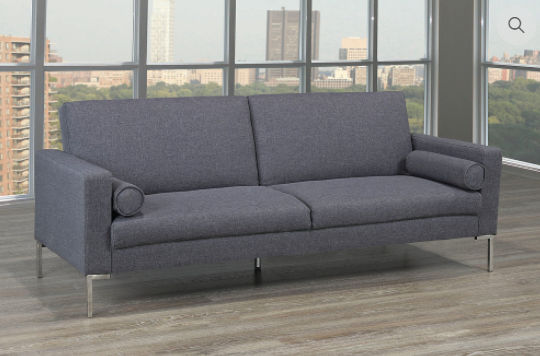 Unique and retro, this klick klack has a classic, two-tone design and includes lush cushioning with tufting. 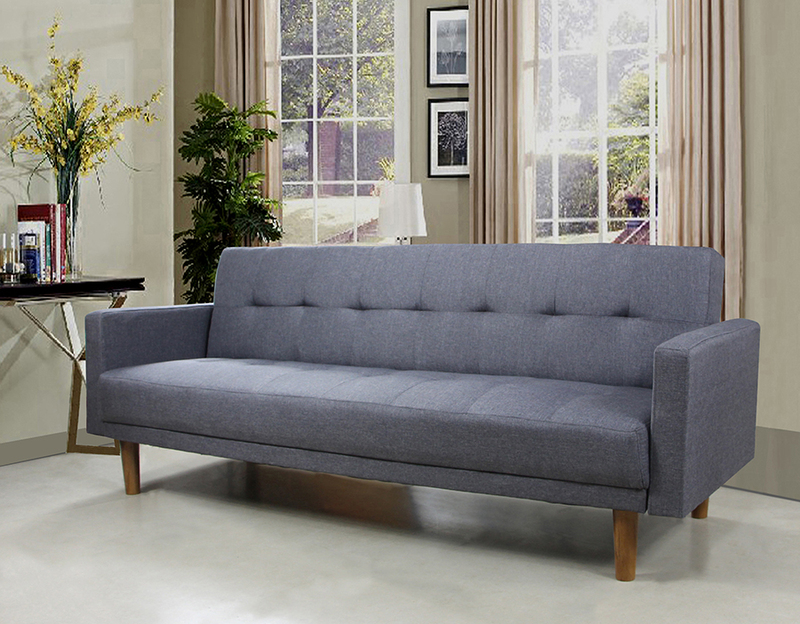 Boasting a simple transition process, this piece is the perfect blend of form and function. 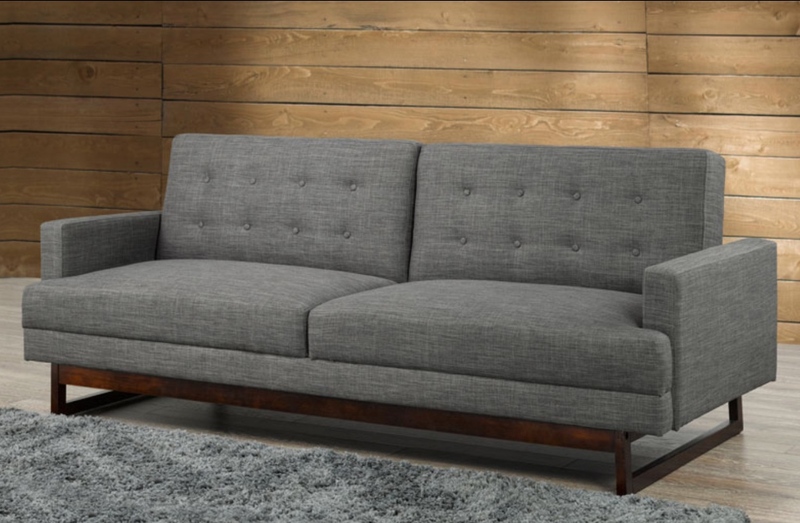 Linen-style fabric- grey.